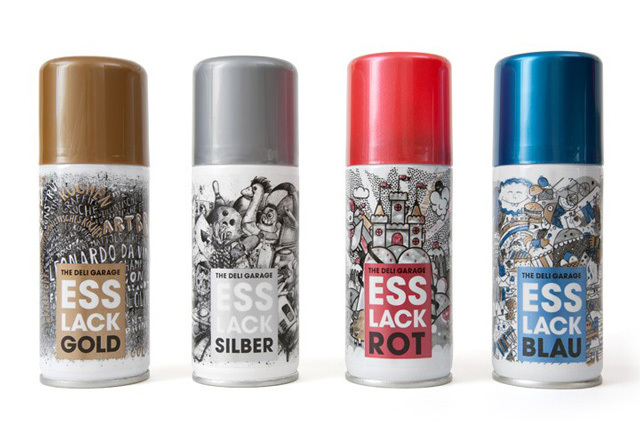 German-based The Deli Garage Food Cooperative has developed a sort of edible “spray paint” product to color food called Esslack (“food finish” in English). 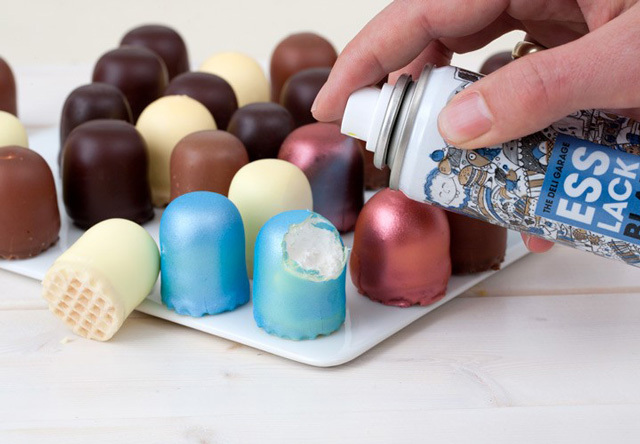 Esslack was developed together with a small food factory, which supplies high-quality fine pastry shops with food coloring. In a new application in the can, the different ways in the kitchen brings. For example, a chrome trout. 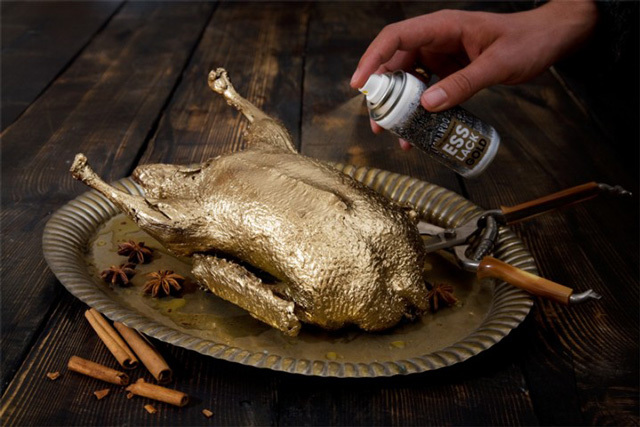 Or gold-plated asparagus tips.